Every year at the start of November I like many others in the UK donate money towards the support of our Armed Services and wear a poppy in remembrance – and gratitude – to those who have served. The British Legion does a tremendous job in supporting those who haven’t paid the ultimate price. Life is for the living so the importance of supporting those who “survived” but with long term chronic physical of psychological damage cannot be overstated. What has this to do with the humble five and ten pence piece? I’ve always wondered – and I suspect I’m not alone – what the real value of the 5p and 10p coins are because I cannot remember the last time I actually spent one of them – I could also say the same about 1p and 2p coins. 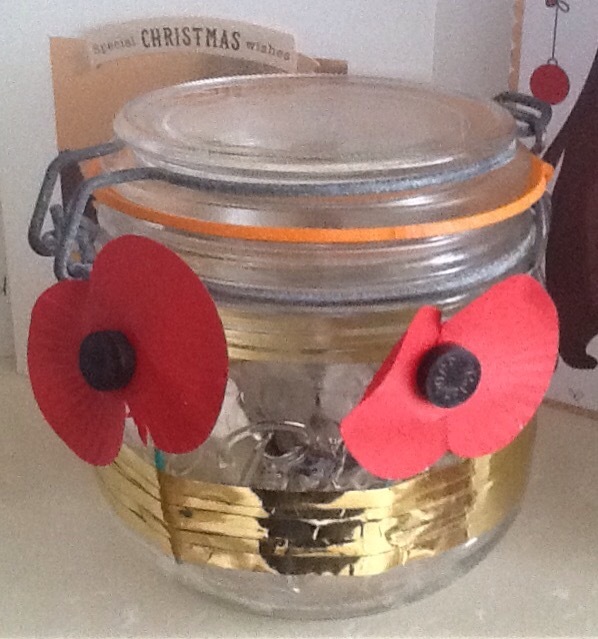 I’ve taken an empty jam jar – decorated it with a poppy and for the next 12 months every 5p and 10p that enters my house will be put in the jar and donated to the 2018 Poppy Appeal. You are welcome to take up the challenge and encourage local businesses to do the same.